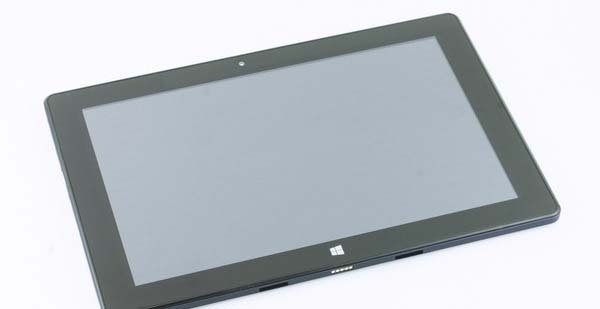 Nowdays, Windows tablet equipped with the Intel processor has become the new mainstream of the current tablet market. 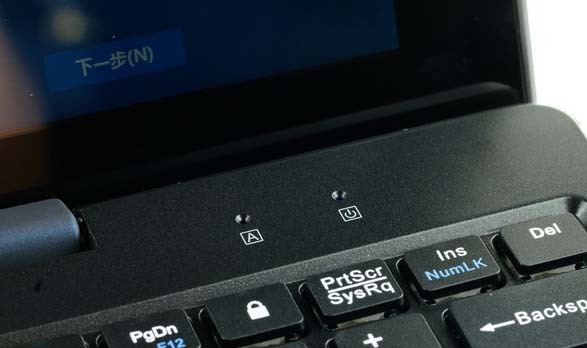 In order to meet the habit of the desktop operating system, many of the earlier products will be equipped with a magnetic adsorption keyboard case, while most latest new models began providing direct multi-mode shaft + detachable keyboard design. 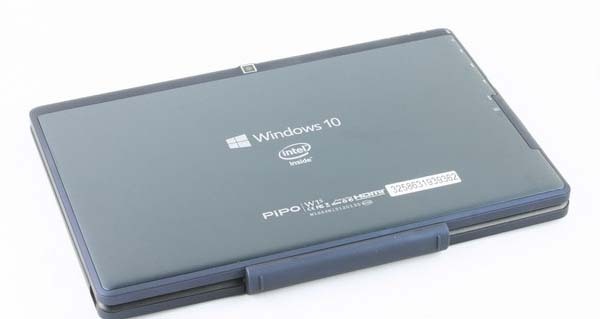 PIPO W1S is such an equipment, through the specially shaft + keyboard designed, it can be easily transformed into a portable high-performance notebook. 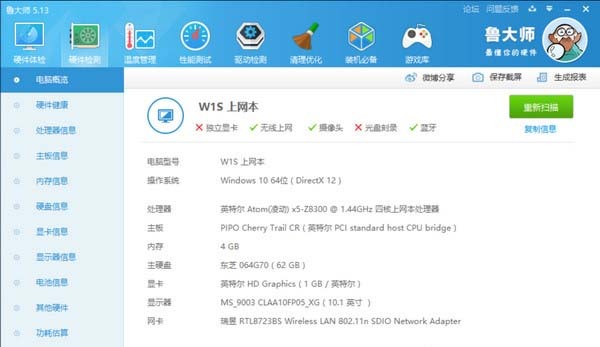 Compared with other products which are also carried with Intel Cherry Trail Z8300 processor, W1S breaks the performance limitations, and uses a large-capacity of 4GB RAM memory, even pre-installed 64bit genuine Windows 10 operating system for the first time. The previous models are generally equipped with 32bit Windows operating system, and usually equipped with 2GB RAM, even if some individual models used 4GB RAM, because the 32bit system, it can not be fully identified. PIPO W1S breakthroughs this limitation, and can bring a more fluid operating experience. 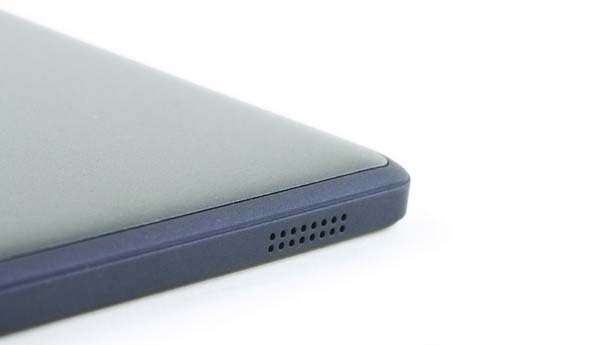 Moreover, 64GB high capacity disk, USB3.0 standard interface, FHD wide view angle IPS screen, full metal back shell and other configurations are also much more attractive. The package style of the PIPO W1S is similar to its previous products, such as PIPO X9, and the new change is the gift handle holding designe, which is more convenient for holding. Except for the user manual and warranty card, the most common used accessory in the packing boxes is the charger. 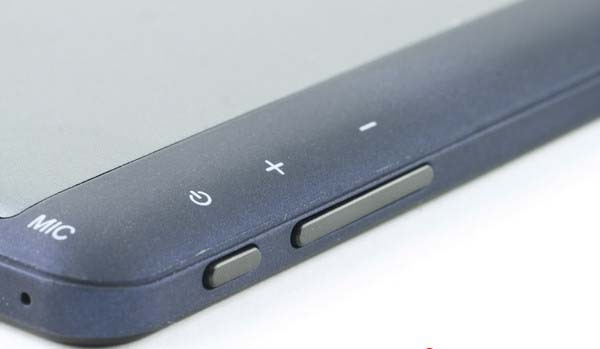 This product has a separate DC charging port, not as most of products sharing the same port with the USB port, which is not only more efficient, but also allows USB slot independent. Some previous models will be equipped with conventional OTG adapter cable, for this product, it is not necessary, because it itself is equipped with the standard USB interface, you no need to adapt. 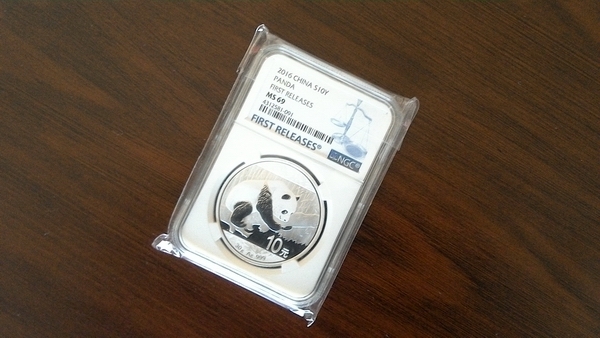 W1S uses the calm black color with similar style of the past products. 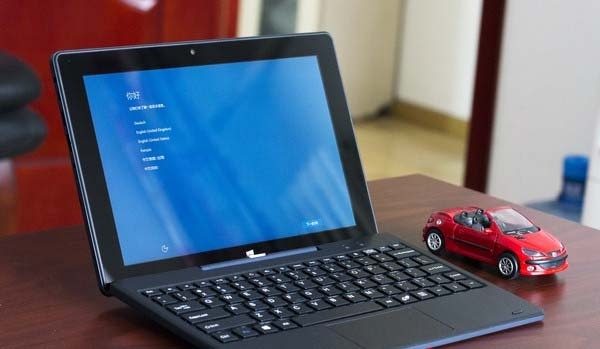 10.1 inch screen, moderate size, as a tablet notebook, it better combined the portability and wide viewing effect. 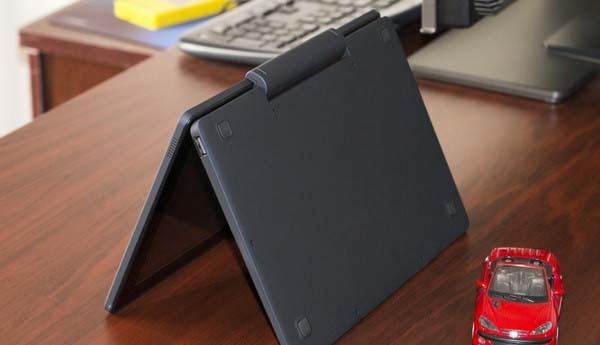 The back is full-metal shell and surface takes grinding process, making it full of business atmosphere. 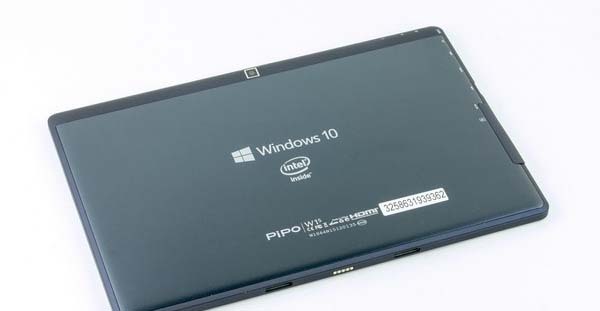 PIPO W1S has dual cameras, as a Windows tablet, it is more generous. W1S and the special keyboard is connected through the shaft, weighing about 1kg, screen and keyboard portions each about half the weight. 2kg weight in total, from the perspective of the notebook, in fact, is very portable. Turning over you can see the back of the keyboard base, at the four corners there is a mat, which itself is a surface treatment process skin sense, when holding up, it is relatively fit for hand. 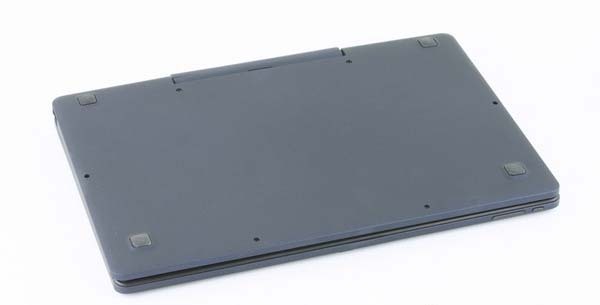 Compared to the conventional magnetic adsorption keyboard base, the new shaft design is more solid, which supports flipping from 0 to 120 degrees, and can live securely. The silver button on the junction is the buckle switch of the intermediate shaft, after pressing, the switch can be released and the tablet can be taken out individually. It is the contact design at the connected point, without any pairing, just plug for using. The metal snaps of both sides can sufficiently to ensure the stability when connected. 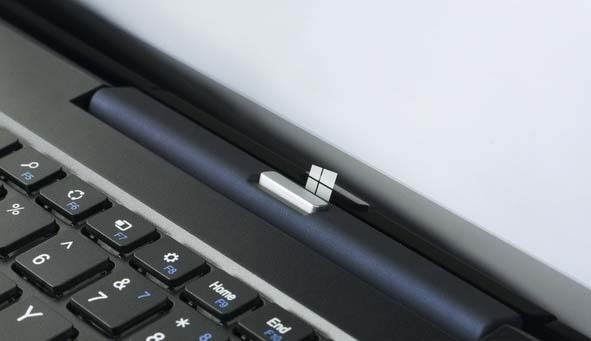 Except for the complete keyboard area of the keyboard base, in the upper right there are the caps lock and switch status indicator, which looks very intuitive, and the effect is very similar to using an ordinary notebook. PIPO W1S has rich interfaces. 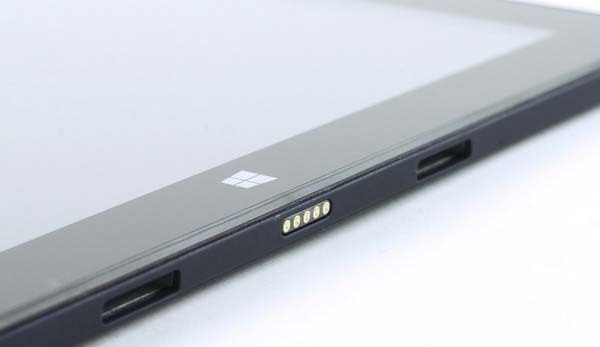 At the left side, we can see the arrangement is very full, including a standard USB3.0 slot, an HDMI interface, Micro USB port, an earphone port and a recording port. The separate DC power supply is also a major advantage. 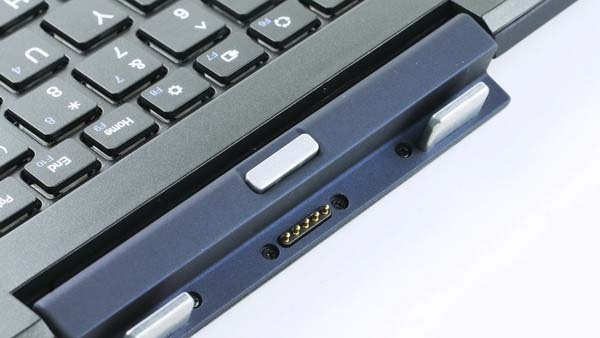 Moreover, the whole thickness controlled within 1cm whe providing a standard USB slot, it is worth praise. 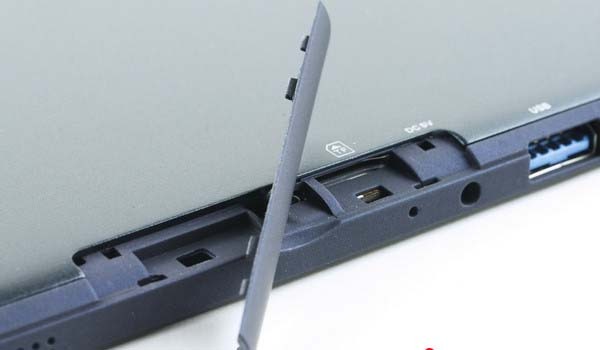 Open shield baffles, there is a hidden TF card slot, the reserved position is for inserting SIM card, maybe it will launch 3G high version later. Power and volume control bar are located on the left top corner of the fuselage, which matches daily using habit and have a better holding feel. On both sides of the fuselage, there are speakers, putting effect performance is OK, but the sound is slightly sharp. 10.1 inch 1920 * 1200 pixels IPS panel offers excellent screen performance, whether color or viewing angles, it is basically impeccable. 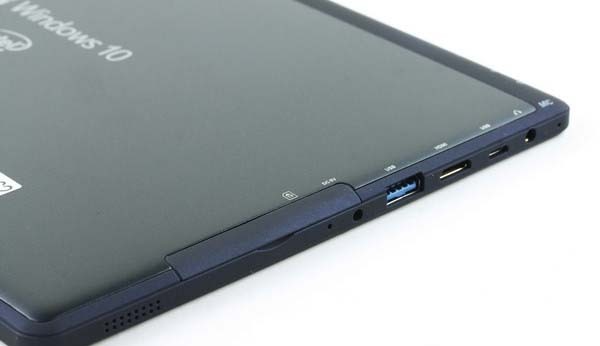 Compared to many low-end notebooks, apparently, the new product evolved from the tablet has more advantages. 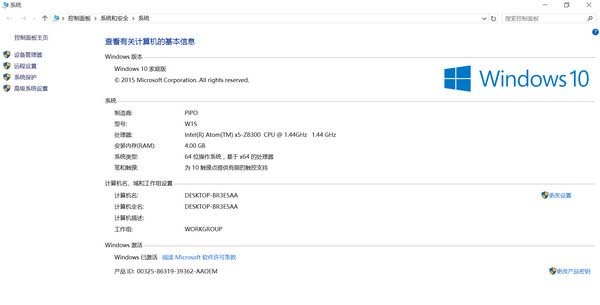 PIPO W1S is equipped with genuine 64 Bit Windows10 OS, as we know, 64bit system can better support large memory, and will have a better performance in operating speed. Moreover, the Intel X5-Z8300 processor is also based on the 64bit instruction set, running a 64-bit system can be a complement to each other. However, many similar products on the market are pre-installed 32bit systems, apparently, PIPO done a better job in this. This product can be properly identified the 4GB large memory. 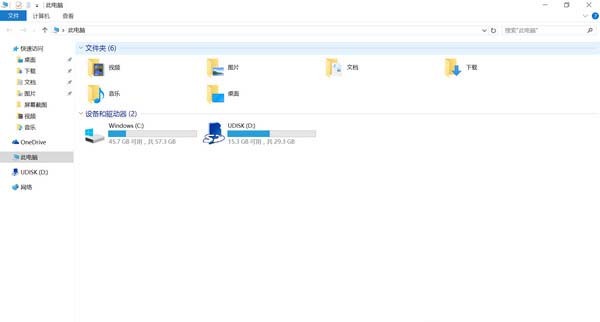 C disk is the storage that comes with system, total of 64GB capacity, except the hidden and invisible part that system has taken, there are more than 45GB can be self-managed, which is considered to be more adequate, not only can store daily applications, but also can load some other games. Next let's look at the W1S specific hardware information. It adopts Intel Cherry Trail Atom x5-Z8300 processor with four nuclear & four-thread design, and the same 14nm process as Intel Core M processor, default frequency 1.44GHz, which can reach up to 1.84GHz. Consumes only 2W, will save more energy than the previous generation of Intel Bay Trail processor. 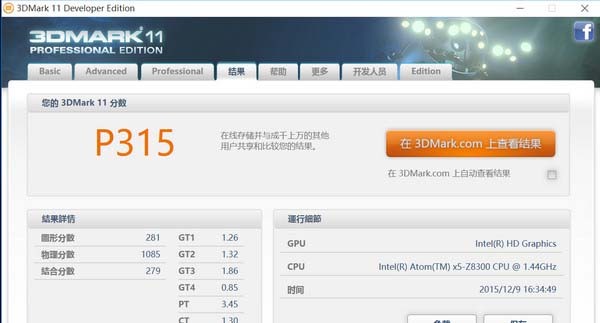 315 scores for 3DMark11 graphics test, the smae level with the same program products, nearly half of Core M program model score, while is around 1.5 times of the Intel Bay Trail tablet. 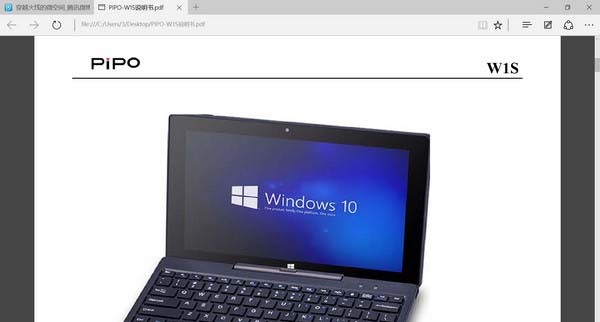 Pipo W1S provides PDF user manual, which is directly put on the desktop, double-click and it can be opened. It can easily play 1080P online vide without Caton phenomenon, of course, this requires a fast network support. The WiFi reception capacity of the machine is relatively common, you'd better use it with the router at the same time in order to ensure the fluency for watching HD online videos. W1S has dual cameras, 200W pixel front camera + 500W pixel rear main camera. 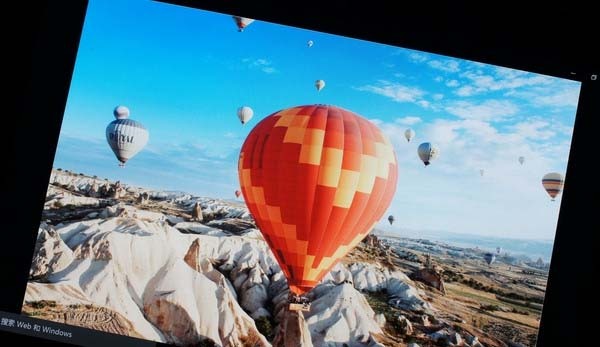 The above figure is a sample of the rear camera, and the camera size is 2560 * 1440 pixels, while the image is common. 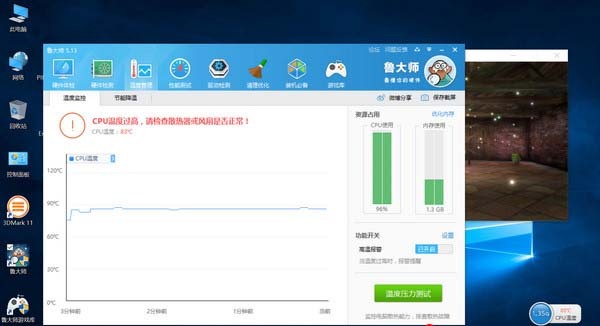 As for the power consumption, when running temperature stress test, CPU temperature exceeds 80 degrees, the temperature of the CPU overheating protection is 90 degrees, but the hottest surface temperature is 42 degrees at this time, which is not too hot. Then is the endurance performance, it will be affected by different applications. W1S owns a 3.7V / 6800mAh capacity lithium battery. After fully charged, from 10:00am to 13:50pm power exhausted for playing 1080P video , it lasts nearly four hours, performance is law-abiding. 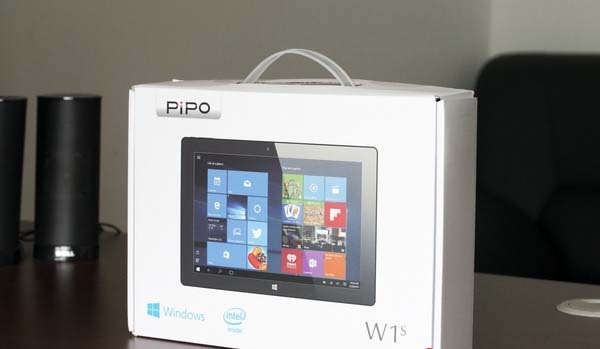 The overall performance of the PIPO W1S is similar to the products with same program. 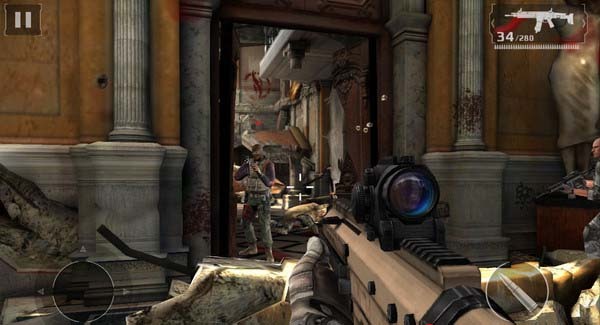 However, due to the larger 4GB memory and 64-bit system, the performance has improved. 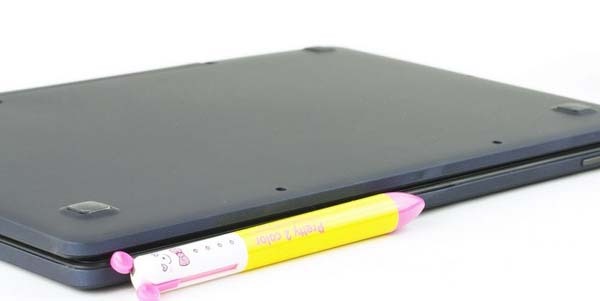 Innovative shaft design enriched its usefulness, which can be used as a notebook computer. Last but not the least, the perfect interfaces is also worthy of recognition.